This week there has been a renewed interest in Sam Schwartz’s revised congestion pricing plan which is being pushed by a group called Move NY. Read CityLaw’s great profile on Mr. Schwartz that details his plan. This was originally published on April 18, 2013. Sam Schwartz is the president and CEO of Sam Schwartz Engineering, a firm that specializes in transportation planning and engineering. Schwartz’s new congestion pricing proposal, “Move New York,” offers a novel approach to the controversial subject. 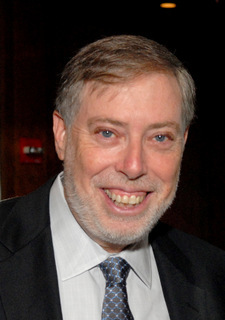 Sam Schwartz was born and raised in Brooklyn, attended Brooklyn Technical High School, graduated from Brooklyn College where he majored in physics, and earned a Master of Science degree in Civil Engineering from the University of Pennsylvania. In 1971, Schwartz began working with the City’s Department of Transportation, as a junior engineer. He rose to be DOT’s Chief Engineer and First Deputy Commissioner. In 1990, Schwartz left the DOT to teach classes at Cooper Union. 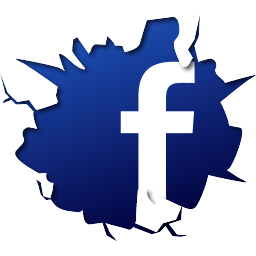 Schwartz also began writing columns for the Daily News under the pen-name “Gridlock Sam.” In 1995, Schwartz opened his own engineering firm called Sam Schwartz Engineering. The firm is involved in projects throughout the globe, including a revolutionary streetcar system in Aruba, powered solely by battery and hydrogen fuel cells. Currently Schwartz has been advocating a novel congestion relief plan for New York City. He believes the old congestion pricing model is antiquated and unfair. The problem with past proposals is that they were all based on an archaic paradigm. Schwartz believes that opponents were suspicious of the old model because it was viewed as a tax and it was unclear where the revenue was going. 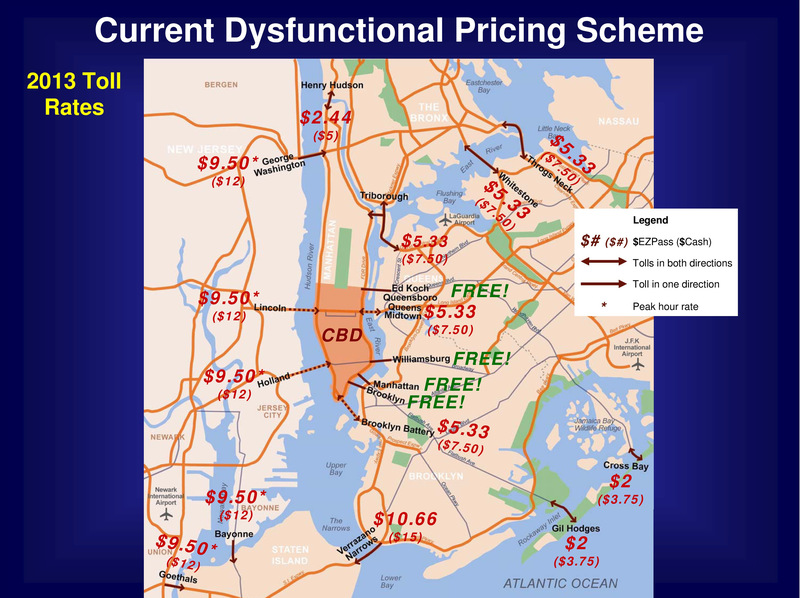 The City’s current pricing scheme. Schwartz predicts that the MTA’s current toll collection system will fail because the tolls are becoming disproportionately high. As of March 2, 2013, tolls increased from $13 to $15 round-trip, and are on a course to reach $25 by 2020 and $51 by 2030. Because most of the toll revenue collected in the past went directly to transit entities, such as the Metro-North and the Long Island Rail Road, Schwartz believes there is a disparity between the people who benefit from the tolls collected and the people who pay the tolls. Schwartz also views “bridge shopping” as a major quirk in our current transportation system, which encourages drivers to shop for the cheapest bridge, even if it means driving out of their way. This takes drivers off the highways and puts them onto City streets, which Schwartz describes as a “crazy policy.” For example, truck drivers will travel up Flatbush Avenue into Manhattan and exit through either the Lincoln or Holland tunnels to avoid $80 bridge and tunnel tolls. The “fair pricing” model. Schwartz has developed a new model, “Move New York,” which he believes can solve these problems. Schwartz, however, is reticent to label his proposal “congestion pricing.” Instead, Schwartz prefers to call his plan the “fair pricing” model because “while there may be a congestion charging element to it, it is far broader than that. It’s more a master plan for New York City.” Schwartz has been developing the plan for over 40 years in what he refers to as a labor of love. He has met with elected officials and community groups throughout the City, and even congestion pricing opponents, many of whom reside in outer parts of Queens, Brooklyn, and Staten Island. Move New York is performance driven, utilizing advanced technology to gather data about road speeds and trip times. The City would use this data to raise or lower tolls depending on congestion. At the end of each quarter the City would evaluate whether the traffic congestion goal was accomplished. If so, the tolls would remain the same, but if travel times were slower than promised, the City would raise tolls to guarantee a certain speed. Likewise, if speeds are exceeded, tolls would be lowered. This typically occurs during poor economic times because people drive less. Move New York would lower or eliminate tolls at poor transit locations. These poor transit locations have historically been the same places where opponents to congestion pricing reside. Tolls on the City’s outer bridges, such as the Triborough, Whitestone, and Throgs Neck, would be reduced by $5 round-trip, and the Verrazano would be reduced from $15 to $10. Staten Island residents, who receive a 60 percent discount on tolls, would pay a toll equal to what was charged in the 1970s. The Rockaway tolls would also decrease. 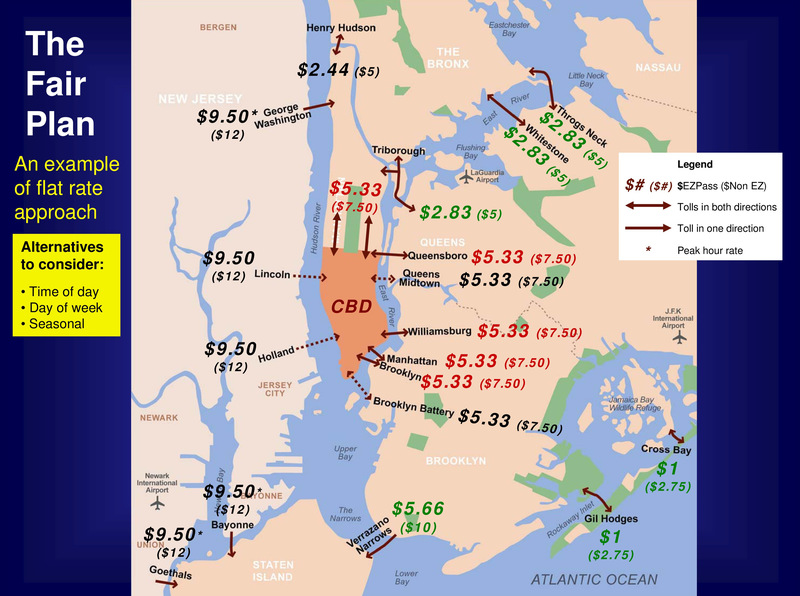 Although the tolls for both the Battery Tunnel and the Queens-Midtown Tunnel would remain the same, the free East River bridges (Brooklyn, Manhattan, Williamsburg, and Queensboro) would now charge identical tolls, thereby eliminating bridge shopping. The rates would also be discounted for drivers using EZ Pass instead of cash. Under Mayor Bloomberg’s congestion pricing model, Brooklyn and Queens residents would have contributed more than Manhattan residents. Under Move New York, however, these disparities are eliminated by placing a “congestion tax” on taxis and black cars driving south of 96th Street. Additionally, bus tolls in outer-borough neighborhoods with no access to subways would be reduced by $1. Move New York would provide the City with additional revenue of $1.5 billion annually, which could be bondable. This would create 35,000 local jobs and allow the City to begin planning and building new transportation capital projects. And unlike its predecessors, the allocation of revenue under Move New York would be entirely transparent. Five hundred million dollars annually would be put towards “state of good repair” costs. This would save the City money in the long-term because it would help preserve the City’s infrastructure. Of the remaining $1 billion, two thirds would be put towards transit, and the other one third would be put towards roads and bridges. Among the myriad projects included in Schwartz’s proposal is the construction of three new, narrow, pedestrian/bicycle bridges about 20 feet wide connecting Manhattan to Hoboken, Long Island City, and Downtown Brooklyn. The bridges would connect Manhattan to areas that are attractive to younger people, who like to incorporate active transportation into their daily routines. The bridges would charge 50 cent tolls for bicycles and would help promote environmentally sound transportation.